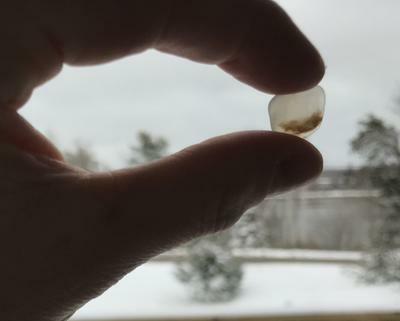 These two pieces have a very smooth texture and have what appears to be a flaw inside. 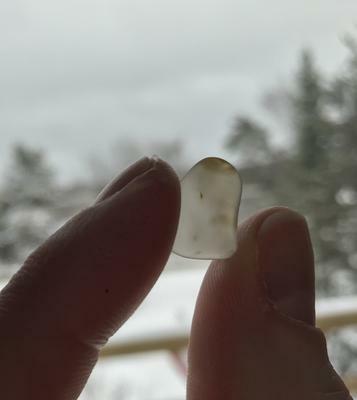 They are a gray in color; I have found gray seaglass before and it does not look like this.. Perhaps they are a stone of some kind? Thanks for your help!